Registration is open for Green Apple Day of Service, and now is the time to commit to engaging in a day of action to support sustainability at your local school, your kid’s school or a school you care about. This year, when you link your registered project on greenapple.org to a donation page on DonorsChoose.org, the Center for Green Schools at USGBC will grant $200 to help meet your project’s goals. We’ve introduced lots of new things for the Day of Service. Over the next few weeks, we’ll be highlighting projects from previous years to give you some inspiration. We have plenty to choose from; over the past five years, we’ve seen thousands of projects in 73 countries, impacting the lives of over 7 million students. 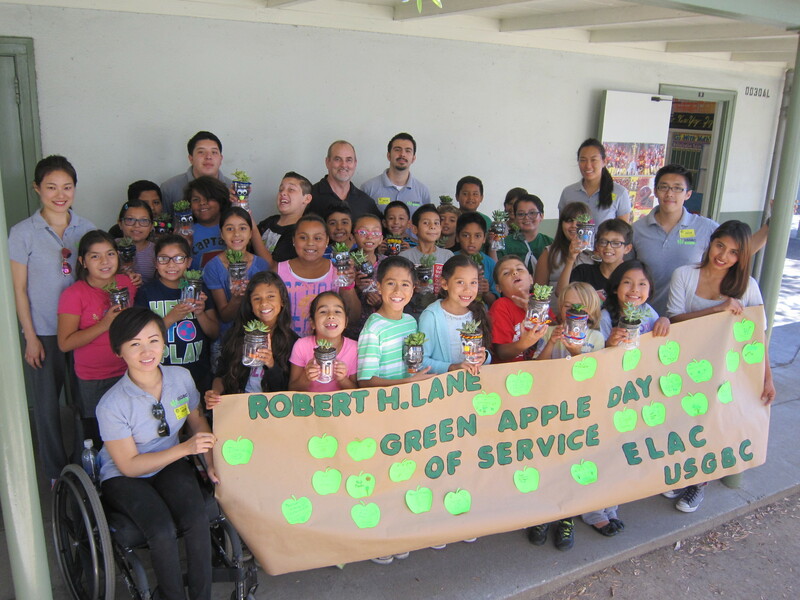 Wondering what counts as a Green Apple Day of Service project? Check out these project ideas, look over our FAQ section for answers to commonly asked questions, and explore our resources page for promotional and planning tools. Our project is to Create and Tend a School Garden and link it to You Are What You Eat. This year we plan to do a community art project in which children and their families will create mosaic pavers to create some much-need pathways in our outdoor classroom space that is shared between our two elementary schools. The pavers will add a functional element to the outdoor classroom while also providing some much-needed student-led artwork.